Can Christians still pray the Our Father in the twenty-first century? We can, and we must. Gerhard Lohfink breaks open its strange phrases like "hallowed be thy name," its off-putting language like "Father" and "kingdom," and its apparently harsh demands like forgive us as we have forgiven those who hurt us-all to shed light on Jesus' original words and their meaning. 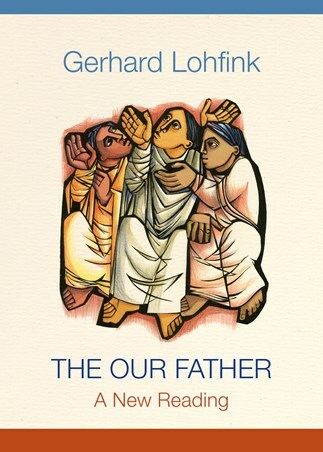 By probing what the prayer meant for Jesus and his first disciples in their world Lohfink calls us to allow the Our Father to break open our own minds and hearts to its infinite invitation and challenge for our time and for all ages. Gerhard Lohfink was professor of New Testament exegesis at the University of Tübingen. Since 1986, he has lived and worked as a theologian for the Catholic Integrated Community. His many books include No Irrelevant Jesus, Jesus of Nazareth, Does God Need the Church?, and Is This All There Is?, all from Liturgical Press. "The Our Father is our prayer taught by our Lord himself. Gerhard Lohfink has brought forward the most comprehensive interpretation from his vast and timely Biblical scholarship. I found this book to be an awakening. "The Our Father is a deeper prayer than I have known. Lofink teaches a practice of eschatology. This reign of God at-work-now is most urgent in our times. This book is ideal for preachers and teachers in our Church." "I especially appreciate how Lohfink reveals the Jewishness of the prayer. I'll continue to say these words in traditional form at mass, and in times of personal prayer, but I understand them better than ever before."